Kenmore celebrates its 100th year of innovative appliance design in 2014. In 1936 Kenmore sold its one-millionth laundry appliance. By the early 2000’s “nearly 1 in 3 American homes” had a Kenmore appliance. 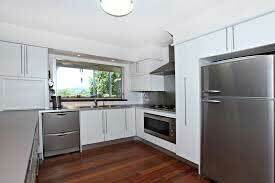 The Applianceman Service can and WILL provide excellent kitchen appliance repair on your Kenmore product. Did you know that The Applianceman Service team members are proficient in Kenmore Appliance repair? Our appliance service technicians aim to keep you up to date and aware of what exactly it is we are doing for you. Strong customer satisfaction is our goal so we make sure to explain each repair issue prior to servicing your household appliance.Give us a call so our specialized appliance technicians can visit your home and repair your Kenmore performing our job with tidiness. Your Kenmore appliances will not suffer from ongoing issues with The Applianceman Service repairs Kenmore appliances to keep them performing at optimum. Many appliance repairs can be handled easily through good communication, proper technical skill and knowledge of various home appliances. Please call to inquire more about Kenmore appliance repair for your model. Please be advised that we may not be able to provide service to all Kenmore appliances. Please call to find out if we are able to fix your model. We know how important it is to you and your kitchen to have a local Columbus business to rely on for all of your appliance repair needs. Give us a call at (614) 259-8868.